Gorgeous Vista Del Mar Condo on Okaloosa Island, Near Great Restaurants and Activities! Reserve your next beach vacation at Vista Del Mar #9 on Okaloosa Island in Fort Walton Beach, Florida. 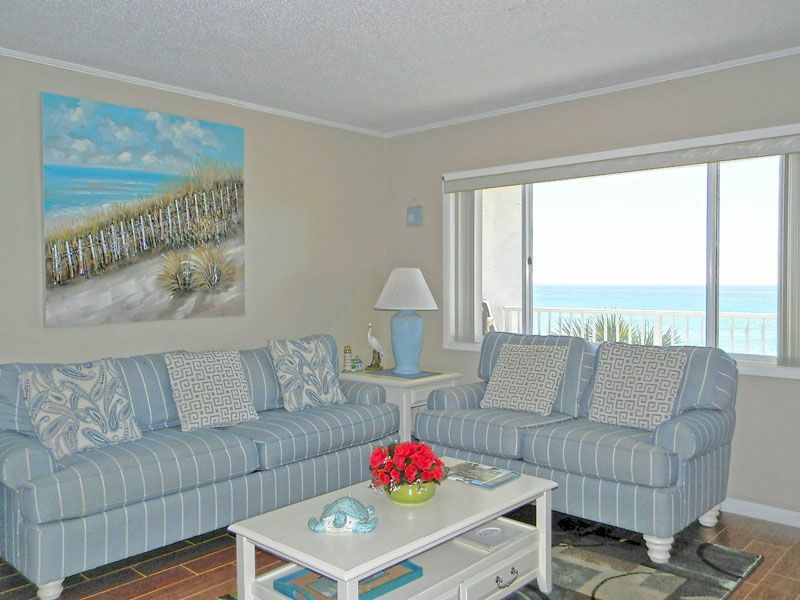 This two bedroom condo sleeps up to 6 people with a king, two twins and queen sofa sleeper. Enjoy a fully-equipped kitchen, free wifi, and spacious living accommodations during your stay. Located toward the West End of Okaloosa Island, Vista Del Mar is close to miles of natural beach preserved and undeveloped. Walk outside and step onto the velvet white sand and enjoy the complimentary beach service during your stay in season. So glad to hear that t was amazing for you. Thank you for sharing and we would love to have you back! Huge VRBO fee to use the site!! Not as nice as I expexted. The shower barely had water coming out of it. VRBO charged a $136 service fee to use the site. I have never had to pay that service fee before. The fee's in place are added and controlled by VRBO, not the owner. VRBO has always had them; however, their rates are always fluctuating. We see that we were able to correct the issue with the shower when you reported it to us. By having you pull on the ring that changes from tub to shower we were able to get you back up to maximum water pressure. We have guest services available 24/7 to assist guests should any issues arise during their stay. We hope to see you again on your next trip to the Emerald Coast. We had a wonderful time. It was perfect distance to the beach and had a great view. Plenty of room for the kids to be kids. The only drawback was the WiFi went out but that was not anyone's fault. Over all this is a great place for the price! Thank you for the great review! We are thrilled to hear you and your family enjoyed your stay. We hope to see you on your next trip. Just what I thought it would be!!! It was everything that we could ask for great size for our family everything was clean and it was nice to look off the porch to the ocean to see dolphins in the morning. The condo stayed cooled the entire time and I loved that they thought of the idea for a dehumidifier. The beach was very clean and the people around us was very nice. Tons of things to do in fort walton and it was way quiter then destin which is nice when you have kids. Thank you for your glowing review! We're glad you enjoyed Fort Walton and all this area has to offer, it's a great treat to see dolphins in the Gulf waters!v We look forward to your next vacation with us. My daughter and I stayed for a week and it was perfect. Don't judge a book by its cover though. From the outside I was a little skeptical but once I got inside I was pleasantly surprised. The unit was clean and quiet. I don't think you can get any closer to the beach! It was exactly what we needed and we had a very relaxing vacation. Great location - perfect to be away from the crowds. Nicely furnished and well equipped. Everything we needed.